Dr. Tranby grew up in the small town of Erskine, Minnesota. His family moved to Moorhead in 1966, where he attended Oak Grove Lutheran High School and Concordia College. 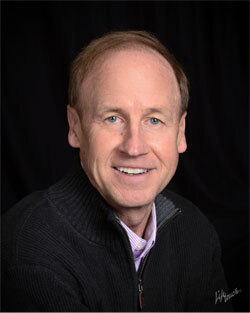 Dr. Tranby received his dental degree from the University of Minnesota in 1978, and after graduation moved back to Moorhead where he has practiced dentistry for his whole career. Dr. Tranby is past president of the Clay County Dental Society and FM Dental Seminars. He has a great staff and really enjoys his dental practice and his patients. He has a special interest in Cosmetic Dentistry and Oral Reconstruction including restoration of implants. Dr. Tranby and his wife, Sharon live in Moorhead where they raised three children; Jon, Kelli, and Steve. His hobbies include golf, tennis, downhill skiing, and spending time at Middle Cormorant Lake.